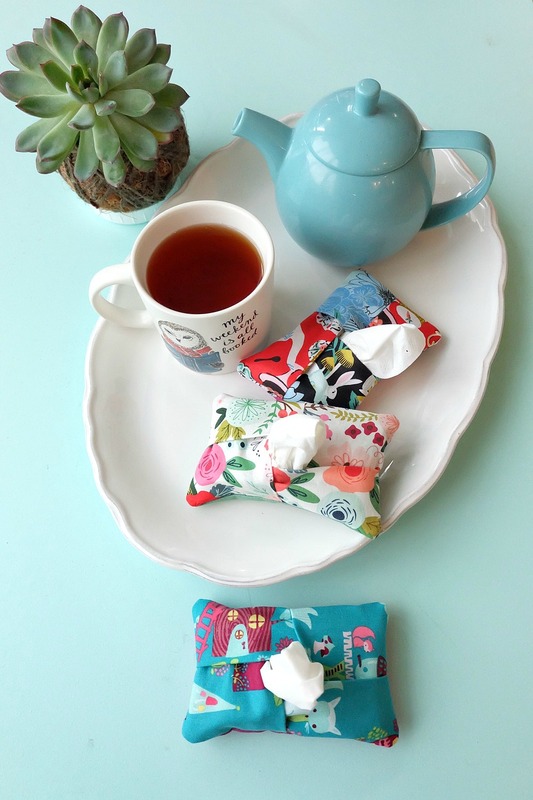 Want to know what’s even faster than the 5 minute kleenex holder sewing tutorial that we shared with you all a few years ago? Cutting that sewing project using the Cricut Maker! Today I’m sharing with you my 5 Minute Kleenex Holder Free Cricut Maker Sewing Pattern and Cut File! 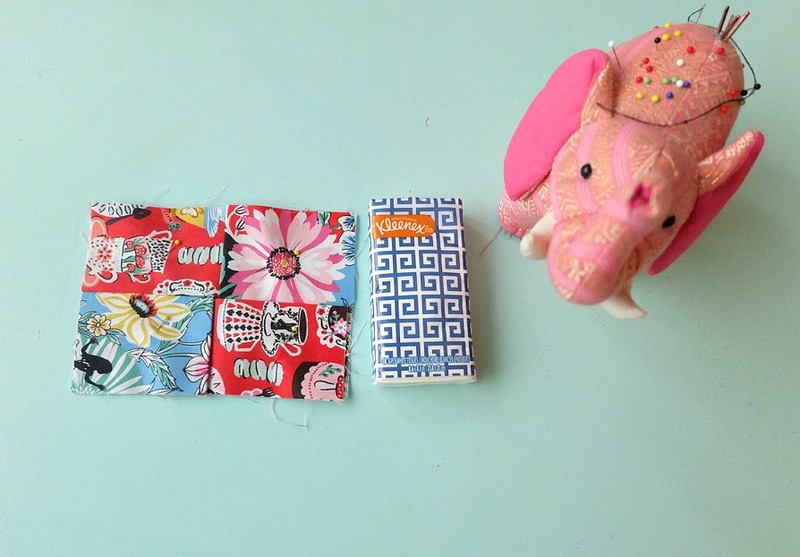 A few years ago when I created our original 5 minute kleenex sewing tutorial (which you can find here) I made one for every member of my family’s pocket. For a few seasons we always had kleenex at the ready whenever anyone had a runny nose. Then winter jackets get switched out for spring jackets, and spring jackets were abandoned for the warm days of summer, then our fleece jackets got pulled out in the fall and somehow over the past 3 years, all 4 of our kleenex holders have gone missing! This week, Turtle, Bean and I took our dogs (Jake and Mochi) for a walk. Turtle tripped while his arms were tucked into his jacket (aka not in his sleeves) and he face planted landing square on his nose because his hands were tucked away and couldn’t be used to stop his fall. I picked the poor guy up off the ground and was greeted with a face full of tears, snot, dirt and grass (thankfully, somehow he avoided a bloody nose). 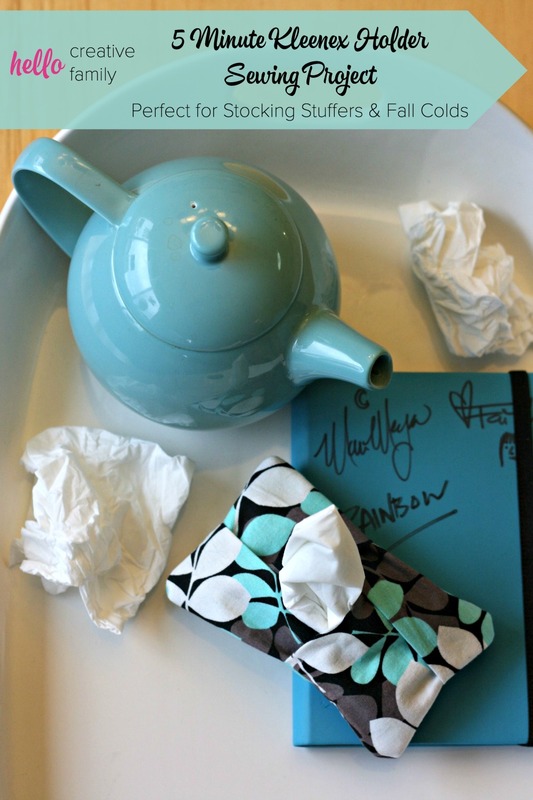 Immediately I went into my pockets to pull out kleenex and… all I found were the crumbly falling apart pieces of tissue that are a tell tale sign that they have been in your pocket for too many seasons. I tried to wipe his face with them and the tissue fell apart in my hands. I checked Bean and Turtle’s pockets and they too were void of useable kleenex. 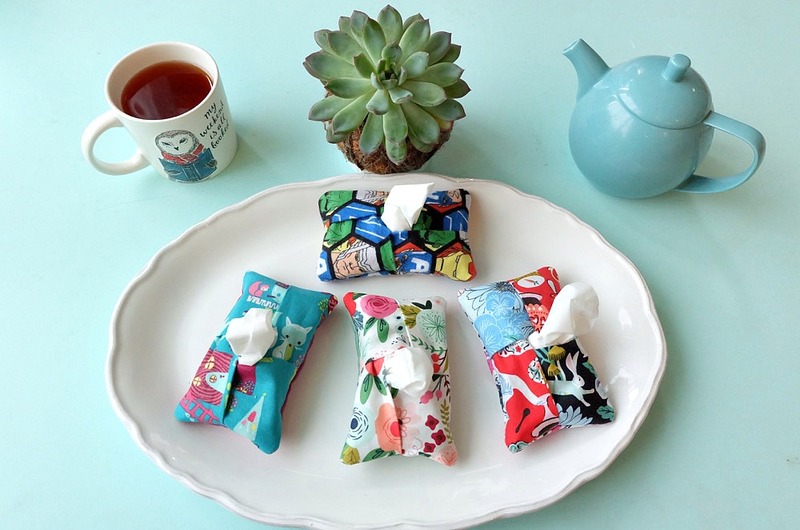 I decided right then and there that it was time to whip up some more kleenex holders. 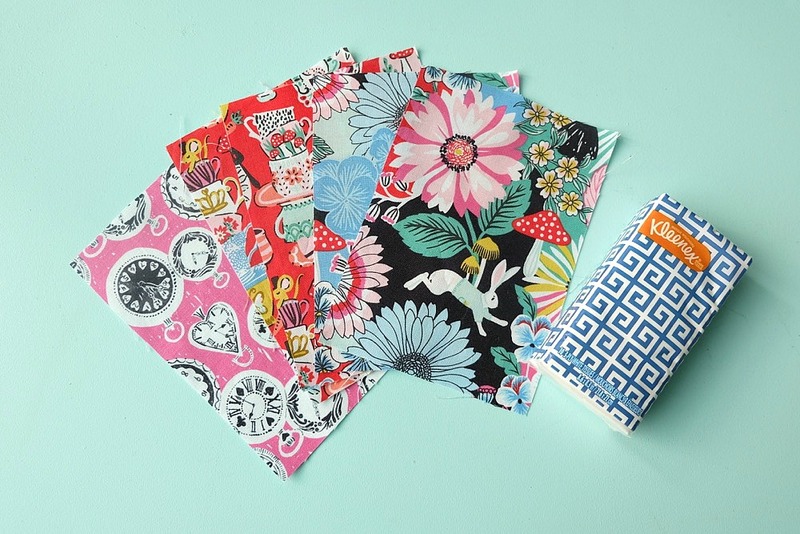 When I got home I started digging through my fabric scrap bins looking for fabric to use and I realized– My least favorite part of making the kleenex holders was cutting the fabric for them… but now that I have a Cricut Maker I could let the machine do the work for me! 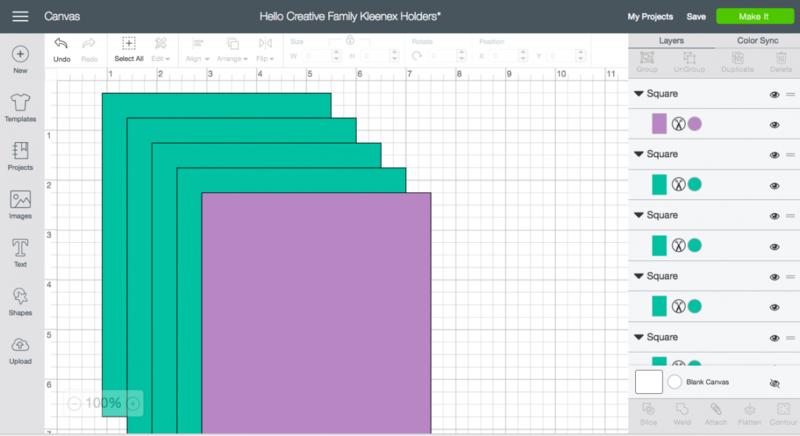 I jumped on my computer, made up a pattern in Cricut Design Space, saved it as public so that I could share it with all of you and quickly whipped up 4 new kleenex holders in less than 20 minutes! 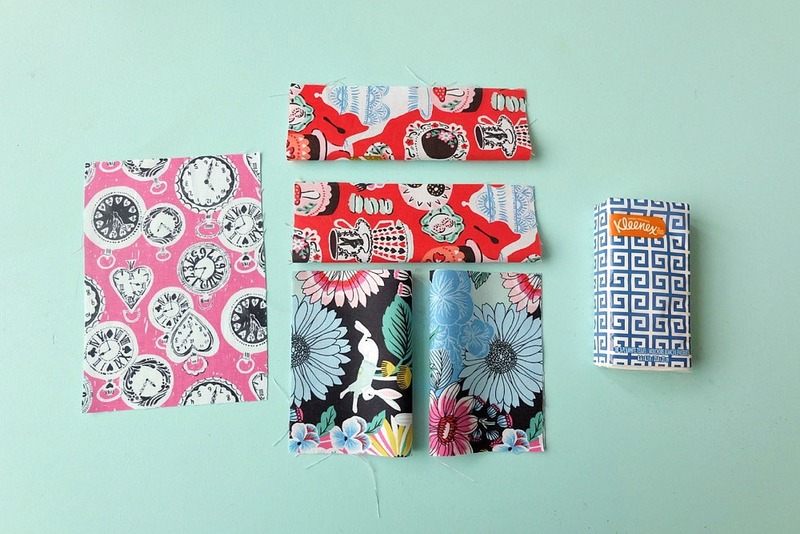 Seriously– who doesn’t love to save a bit of time and elbow grease while making? It gives you time to load your sewing machine with thread while your fabric cuts for you! Want to make some of your own? These make awesome stocking stuffers and teacher gifts! 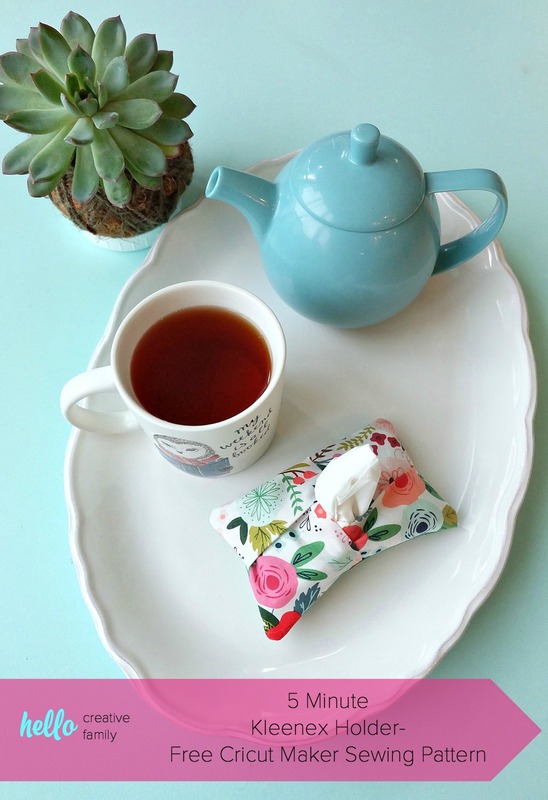 Read on for my 5 Minute Kleenex Holder- Free Cricut Maker Sewing Pattern and if you don’t have a Cricut Maker yet, add it to your wish list and in the meantime check out our old 5 minute tissue holder sewing project for instructions for cutting by hand! Step 1: Open my 5 Minute Kleenex Holder Free Cricut Maker Cut File in Cricut Design Space. If you are cutting all of your pieces from one piece of fabric, leave as is. If you are cutting from multiple pieces of fabric, change the color of each rectangle so they cut on separate mats. In this screenshot I have 4 of the pieces that I’ll be using for the top of my kleenex holder cutting from one kind of fabric and the last piece used for the bottom cutting from a different piece of fabric on a second cutting mat. 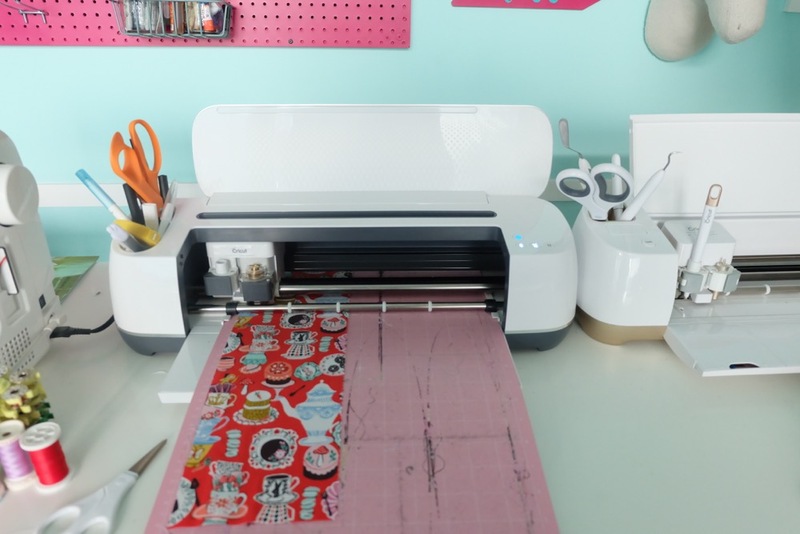 Click “Make It” and have the Cricut Maker cut your fabric. 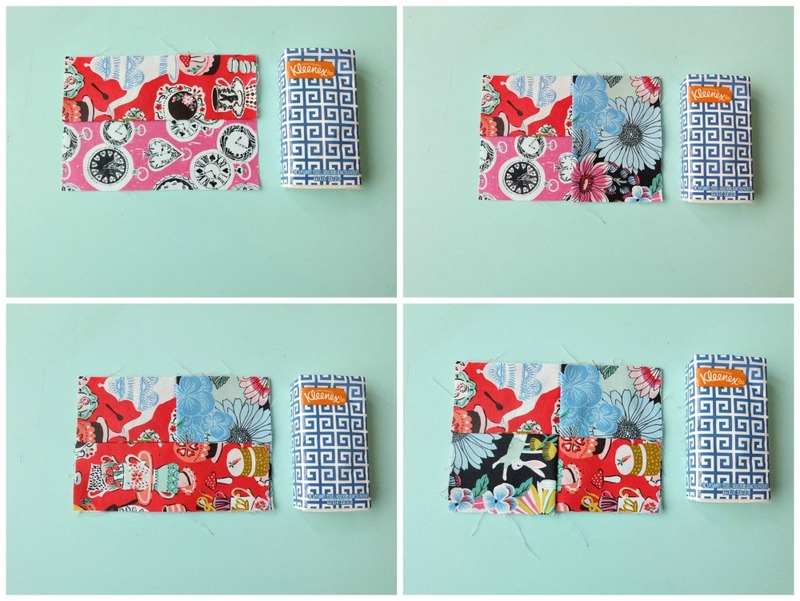 Step 2- Fold and press 2 of your pieces of fabric length-wise (print facing out), two of your pieces of fabric width-wise (print facing out) and leave your 5th piece flat. Step 3: Lay the piece of fabric that you will be using for the bottom of your kleenex holder flat on the table with the print side facing up. Next you will lay out the 4 top pieces of fabric. With each piece you want the raw edge turned so it’s lined up with the raw edge of the bottom piece of fabric. You want to lay them out almost the way you do when closing a box that you don’t want to tape. 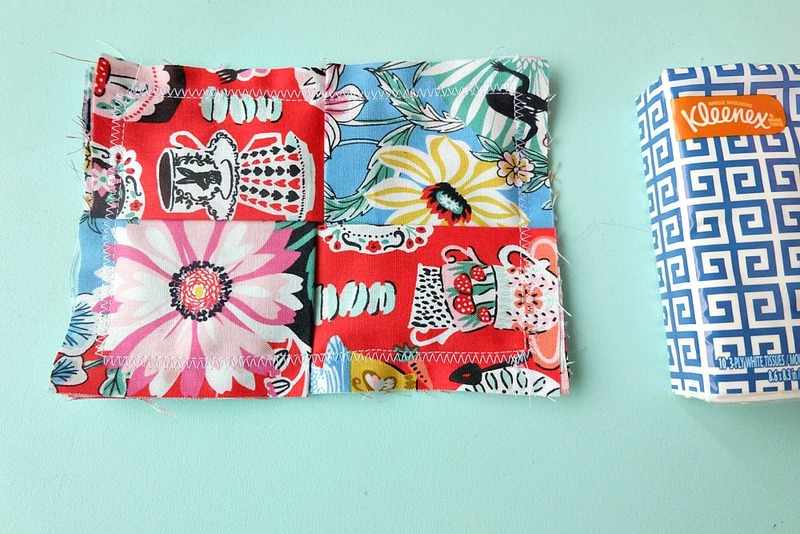 The side that is currently facing up will be on the inside of your kleenex holder when it’s finished, so if you like the layout, flip the 4 pieces so that they are facing down. If your not picky about your fabric design layout leave as is. When you have all four pieces laid out on top of your bottom piece, make sure the edges are lined up and pin into place. 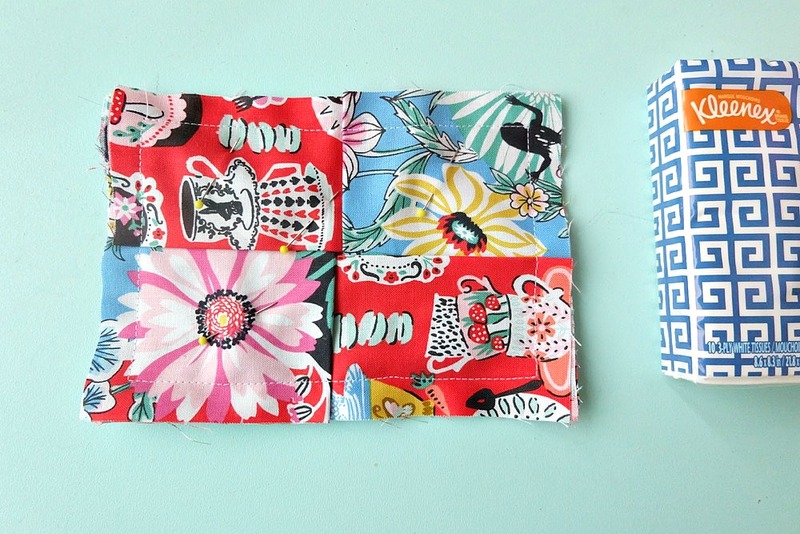 Step 4: Straight stitch around all 4 sides of your Kleenex Holder leaving a 1/2″ seam allowance. Step 5 (optional): Zig zag stitch around all 4 sides of your Kleenex holder trying to line up the inside part of your zig zag stitch as close to your straight stitch as possible. Step 6: Trim away excess fabric and clip corners. Step 7: Flip right side out, and put your travel sized Kleenex pack inside. Enjoy! 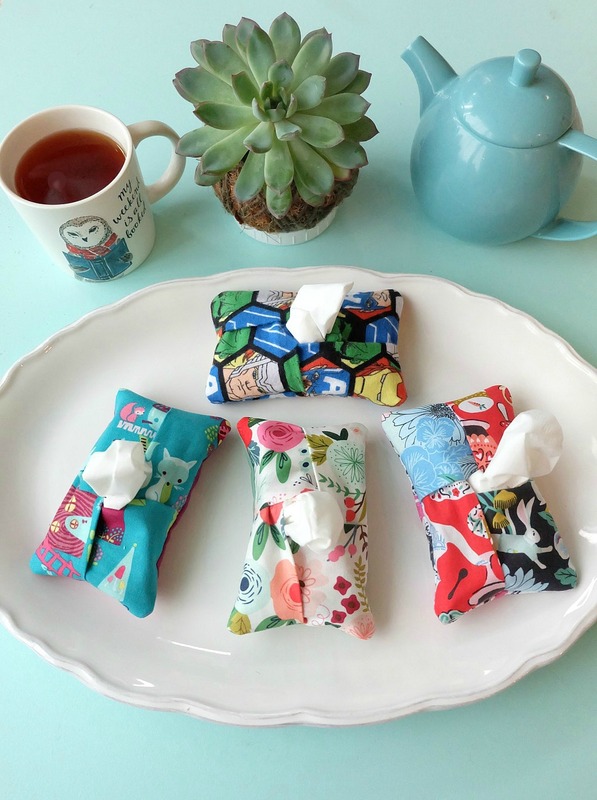 These Kleenex holders make adorable gifts. They are perfect for school aged children to put in their back packs, women to put in their purses and would make really cute handmade teacher gifts as well! 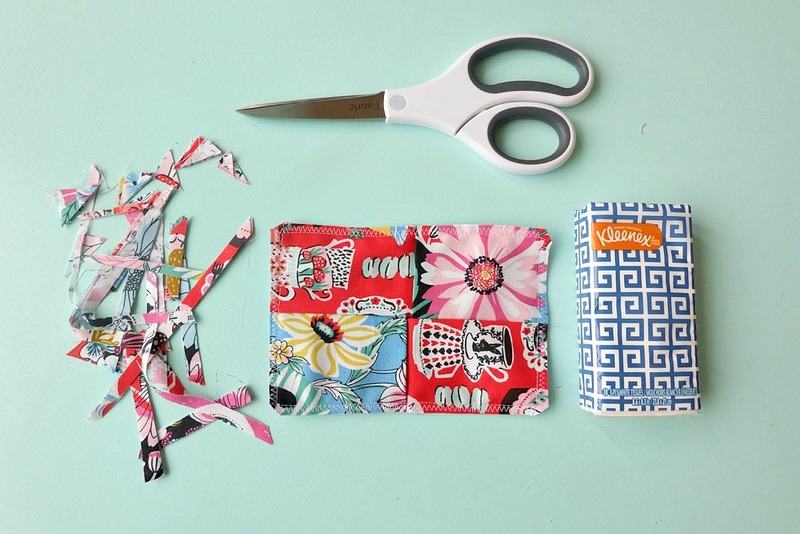 Tell me… What do you do with all of your fabric scraps? What would you like to see me make with my Cricut Maker next? Disclosure: While this is not a sponsored post, Cricut did provide me with my Cricut machines and other supplies free of charge. As with every post on Hello Creative Family, all thoughts and opinions are 100% our own. Like this project? We’d love for you to pin it for later? 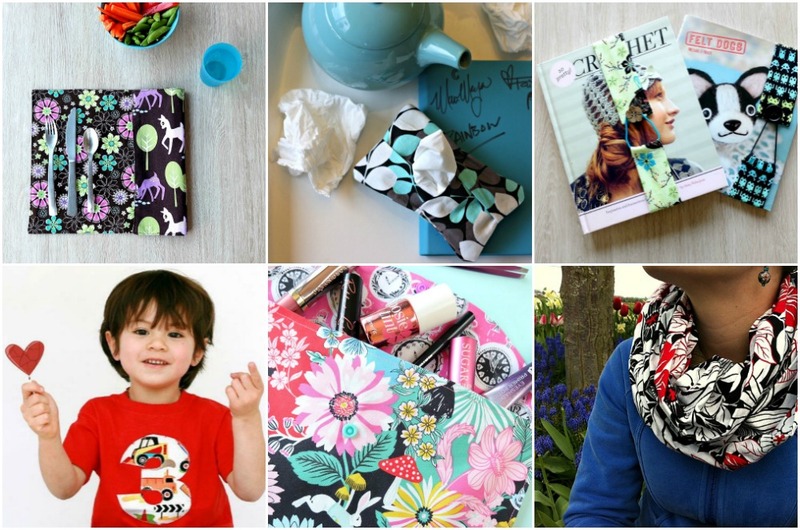 Also make sure to check out our other 1 hour or less sewing projects here! 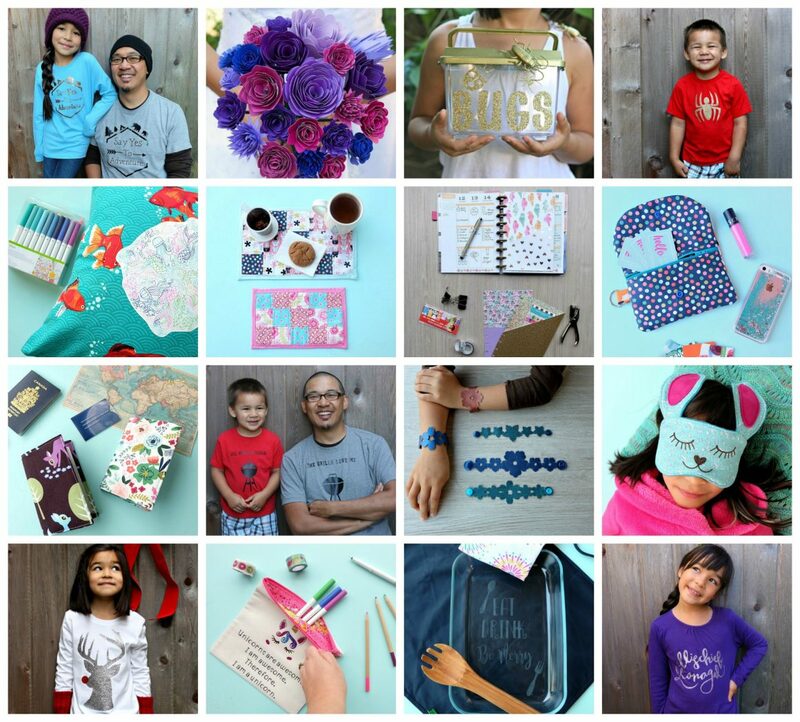 Make sure to check out all of our fabulous Cricut Projects here. Great tutorial Crystal!!!! Nice job! I will add this one to my collection if you don’t mind!